The Telegraph Collection by Coaster will help you create a calming contemporary dining or entertainment room, perfect for gathering with family and friends. 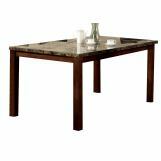 The smooth marble table top is luxurious, with the option of a marble look top, while clean warm wood legs complete the look. 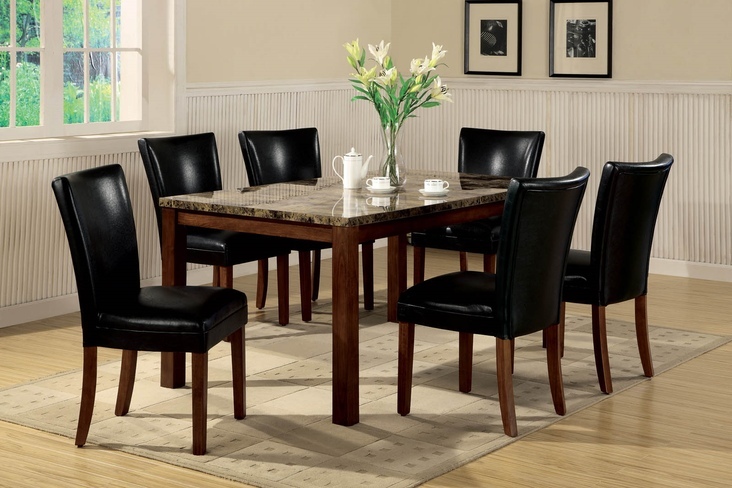 When paired with sophisticated faux leather parson chairs, this dining set will give your semi-formal dining room a chic look that you will love.